Jobs & Internships: DPD, Our Children’s Trust, Earthjustice, NARAL, and more! 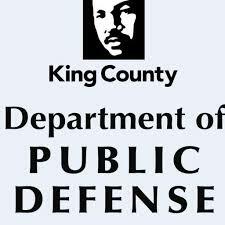 King County DPD is looking to fill up to two term-limited temporary Public Defense Attorney positions, with anticipated placement in the family defense practice area. This position is anticipated to be six months in length and will initially be assigned to work in any of the following Seattle and/or Kent work locations: Dexter Horton Building, 710 Second Avenue, Seattle; Jefferson Street Building, 1401 East Jefferson, Seattle or Meeker Street Building, 420 West Harrison Street, Kent. For more information and to apply visit here. 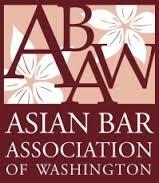 The Asian Bar Association of Washington Student Scholarship Foundation is pleased to announce a new $5,000.00 summer fellowship to work with a public interest organization to advance the legal rights of women and/or immigrants. Both full-time and part-time JD students in good academic standing are eligible to apply. Please visit here for application information and details. Our Children’s Trust (OCT) is a nonprofit organization seeking law students who are interested in using the law to fight climate change and playing an integral part in what is being called the “trial of the century.” Our Children’s Trust works to secure the legal right to a healthy atmosphere and stable climate for current and future generations through its coordination of a global legal campaign. For additional information and application details visit here. Earthjustice is now accepting applications for candidates interested in seeking postgraduate legal fellowship funded through a law school or other sources to join their office in the fall of 2019. 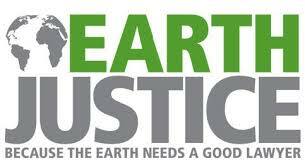 Earthjustice is the premier nonprofit environmental law organization, taking on the biggest, most precedent-setting cases across the country. In the United States and around the world, Earth Justice wields the power of law and the strength of partnership to protect people’s health; to preserve magnificent places and wildlife; to advance clean energy; and to combat climate change. For complete job description and to apply visit here. Interested applicants should submit their application by February 21, 2019. As the nation’s leading pro-choice advocacy group, NARAL Pro-Choice America is dedicated to protecting and expanding reproductive freedom for all Americans, including access to abortion. NARAL seeks summer legal interns to assist with legal and policy research, conduct legal analysis, assist with other projects and tasks as assigned, and provide administrative support to the Government Relations Department. For complete job description and to apply visit here. The two Greater Fort Lauderdale area Legal Aid offices, Legal Aid Service of Broward County and Coast to Coast Legal Aid of South Florida, are accepting applications for volunteer internships for Summer 2019. The mission of these programs is to provide high-quality free civil legal advice, representation and education to the disadvantaged of Broward County. Service areas include, but are not limited to, housing, children’s, consumer, immigration, public benefits, family, tax, senior citizens, domestic violence, homeless, veterans law, and special projects, including major litigation and education/employment. To apply for either or both offices please e-mail a cover letter and resume to Debra Koprowski, Director of Advocacy at dkoprowski@legalaid.org and Chanel Winter, Esq., Pro Bono Coordinator at cwinter@legalaid.org. Please describe in the cover letter your particular interest in public interest law and any preferences for program placement. Application deadline is Friday, March 8, 2019. ← Upcoming Events & Awards: Immigration Law, Equal Justice Lobby Day, Trauma Stewardship, and More!